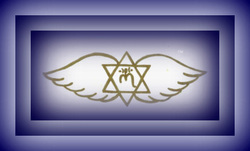 ​In the First Degree of training, you will be introduced to the One Heart Touch® energy and the first two symbols. This training provides you with an energy attunement to open your Upper Heart chakra and establish a direct line of communication with your Spirit, your Soul Family, your Angels, and the Great Mother (Universe/Creator) which is free from outside negative influences. Learn how negative influences can impact the information we receive through meditation, channeling, etc. Learn how to initiate the state of Oneness accessed with a “clear line of communication” with your Spirit, your Soul Family, your Angels, and the Great Mother at any time. Meditation in this state of being offers you the opportunity to receive information directly from these beings regarding your Life’s Purpose and for every day situations. Explore how to find your Life’s Purpose, Understand what it means, and how to stay in touch with it throughout your Life. Learn how you can unite with others in “One Heart Touch® Meditation”. Practice meditations in “connecting” and uniting in One Heart with others is included. This is a six to eight hour course. Breathing to Balance the Chakras. Breathing to Direct the Energies in Your Life.